How to get from Zurich to Airport, Lucerne, Basel or Zermatt? Do you want a transfer from Zurich Airport? We are a full featured Zurich Airport taxi service and we also offer a limo service in Zurich. 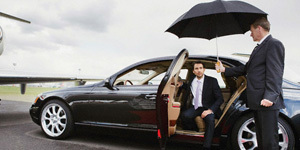 We are a world renown private driving service in Europe and feature offices in major locations. If you need a personal chauffeur in Zurich or a minivan with driver and child seat we have your bases covered. If you need a taxi service in Basel or Lucerne we can help you with that as well. We take pride in being the premier driving service in Europe and customer satisfaction is our number one goal and getting you to your destination safely while in maximum comfort is our expertise. We offer a full fleet of vehicles that use the best high-class vehicles that are completely spotless and clean and provide you with maximum comfort. If you are searching for a Zurich Airport taxi be sure to hire us as we can have one of our friendly drivers meet you at the gate with your name on a sign. We also offer services that include a personal chauffeur in Zurich as well as limo services in Zurich. Find out why our customers continue to call upon us when they need to be delivered in comfort and style to many major destinations within Europe. You can easily transfer from Zurich with our highly refined Zurich Airport taxi service. We have driven celebrities, as well as business people, persons on vacation as well as families. We offer a full fleet of vehicles that include minibusses, regular buses, limousines as private cars. We offer our services in Basel as well as Lucerne giving you the ability to get from place to place in comfort and safety and we will have you at your destination in time with plenty to spare. 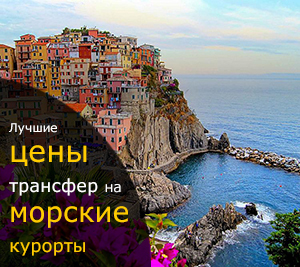 Our staff are fluent in different languages that include English, Russian and Italian. With offices all over Europe you will come to understand why choosing our driving services is your best choice. If you need something like a minivan with driver and child seat or need a minibus for a party we can provide you with your needs in a friendly and affordable way. We take pride in being the #1 driving service amongst our customers who need a Zurich taxi and we making our customers happy is of prime importance. Contact us today to book your transportation requirements. 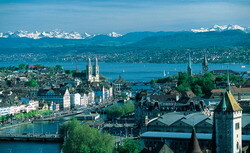 Zurich is the largest Swiss city, which is conveniently located on the northern shore of Lake Zurich. This is not just a beautiful city of Europe, but it is also a world`s financial center, which territory consists of a huge number of industrial and commercial establishments. Considering all of that Zurich has managed to retain its authentic charm: the old town will welcome you by the winding narrow streets, houses in the Gothic style, lots of cozy cafeterias, interesting antique shops ecc. The museum lovers should deffinitely visit Zurich, because there are over 50 museums over there, moreover you can visit small galleries, which always hold a variety of shows and exhibitions. 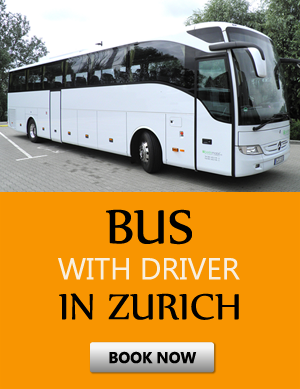 Do you want to get to the city from Zurich and back to the airport quickly and comfortably? Do not forget to book from our company your transfer to the hotel in Zurich beforehand - we will offer you a high level service, comfortable cars and an affordable price .